Say good bye to your traditional neck strap and hello to this 4-point harness from Secraft. 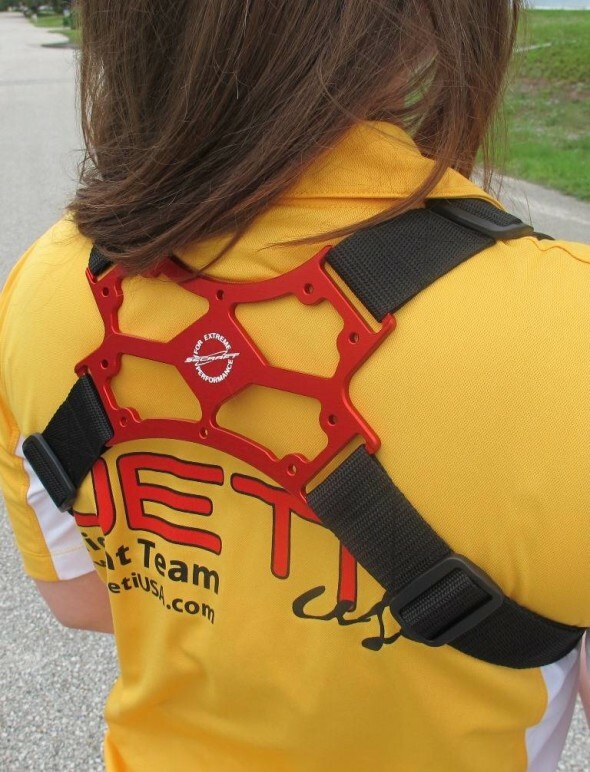 Designed to distribute the weight of your transmitter (and tray) across your shoulder blades, this harness makes for a much comfortable flying experience. Hook it up to a tray system, or directly to your transmitter, the choice is up to you. As with other Secraft products, the anodized aluminum comes in a variety of colors.